A very touching romance. 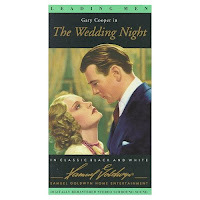 Tony Barrett (Gary Cooper) is a novelist who is having a hard time with his muse. His last novel has failed and he is having a hard time writing the new one. He is broke so he decides to take his wife back to his family home in Connecticut. While they are there the neighbor Jan Novak and his daughter Manya (Anna Sten) come to make an offer on the adjoining land. They are Polish immigrants and Jan wants to secure the land to cement the marriage of Manya to Fredrik Sobieski (Ralph Bellamy). Tony is so inspired by the Novaks he decides to use them as his muse for his next book. However, his wife is not happy there and decides to leave for New York. Pretty soon his man servant Taka also leaves and he is alone. Mayna comes over to help him with the house and meals and he begins to read his novel to her. As the days pass they begin to fall in love but Manya is to marry Fredrik and Tony's wife returns. What will happen to Tony, Manya and the love they share for each other? This was a very touching movie. Gary Cooper and Anna Sten are marvelous as the star-crossed lovers. Sig Ruman is also wonderful as Manya's overbearing father. The story is loosely based on F. Scott Fitzgerald and his wife Zelda. If you are a sucker for a good romance (like me) you need to see this little known gem.